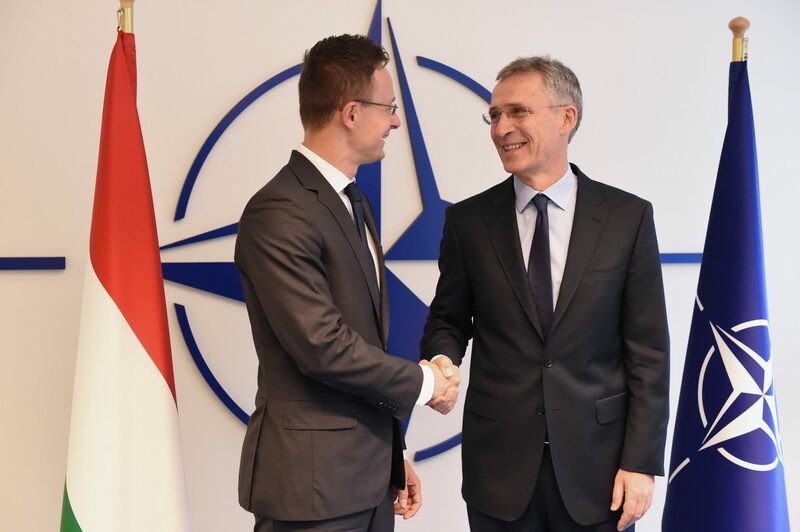 Hungary will “not only continue” its presence in NATO missions but “ready to take a larger role”, Foreign Minister Péter Szijjártó said after talks with NATO Secretary General Jens Stoltenberg in Brussels on Thursday. Szijjártó said that the government would soon start negotiations concerning the future role of 77 Hungarian troops that have recently returned from the United Nations’ Cyprus mission. The government and NATO will set up a joint team to assess which international mission needs further staff, he added. On another subject, Szijjártó said that the situation in Ukraine has “worsened considerably” since the Ukrainian government has “done nothing” to change the country’s education law, while the Ukrainian parliament passed a language law which “strips national minorities of the right to use their own mother tongue”. Szijjártó called it “unacceptable” if Ukraine “compiles lists of people holding citizenship of a NATO country and subjects them to secret service investigations”. Moves taken against the Hungarian minority by a country striving for closer cooperation with NATO are similarly unacceptable, Szijjártó said.